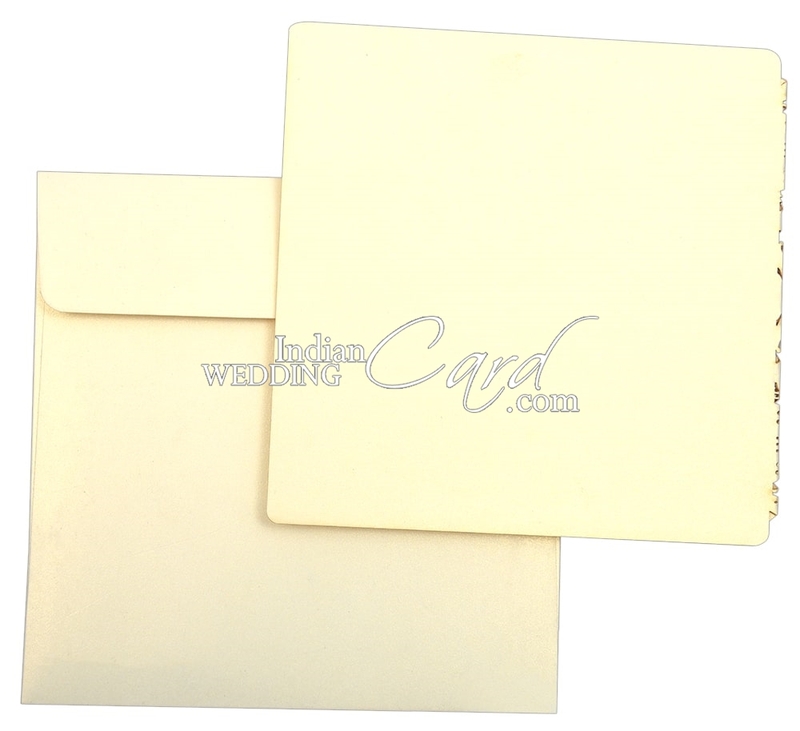 Paper: Cream shimmery paper (250gsm) for card, pasted insert and mailing envelope. 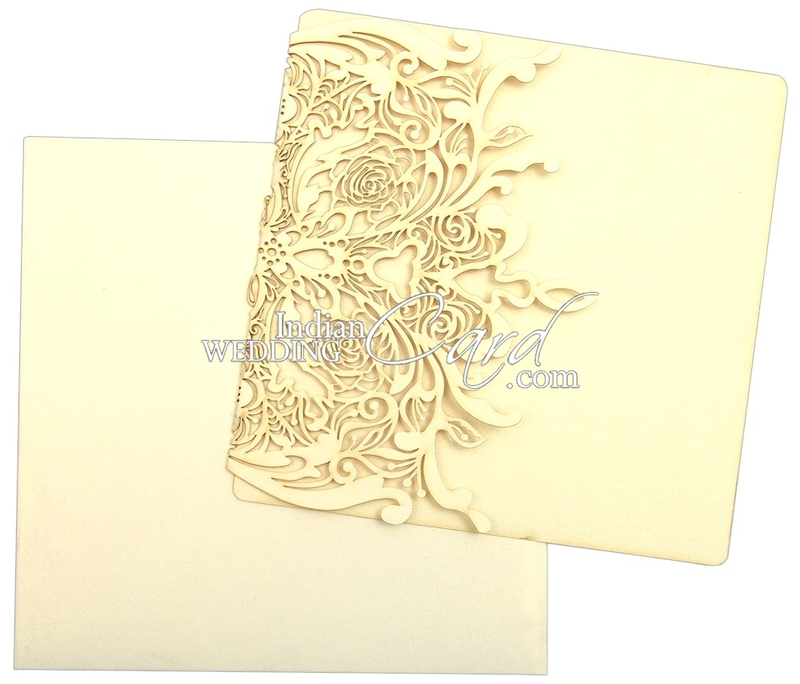 Description: Main design is the intricately cut laser cut motif. The insert is pasted on the card. Envelope is plain. Hi Sales team. I have received my card today. Though there was bit of time lapse initially, your prompt action had got the card reach me on time. Thank you very much. I have received the printed cards and they are beautiful. Thanks for your hard work and excellent service. You are an impressive organization. I have a request: Please send me the digital /online / soft copy version of the Wedding card. I received the invitations. They are absolutely brilliant. Thank you for the prompt service. 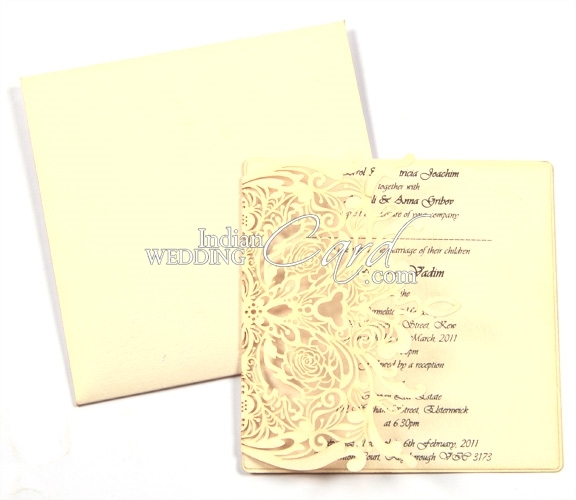 I will definitely use Indian Wedding card in for future purposes!